We returned to one of our favorite Resorts. It is on Agate Pass off of Bainbridge Island, just a short ferry ride from Seattle. That short ferry ride is part of what we love about this place. Within a half hour you are out of the city and in a whole another world. 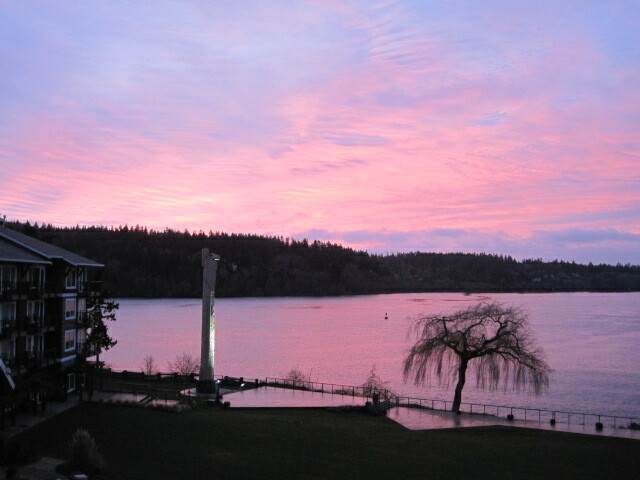 The resort is owned and run by the Suquamish Tribe and has a fabulous view of Port Orchard Bay. 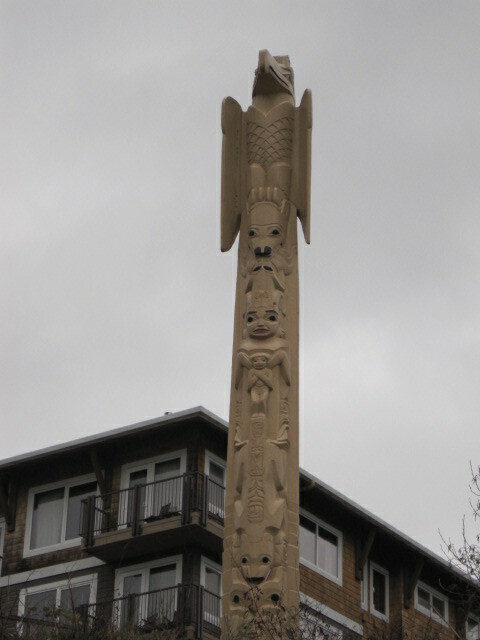 The totem pole there was originally carved and displayed at the Northgate Mall. When they remodeled a few years back the pole was in disrepair and the tribe adopted it. Now it is all restored and is displayed facing the bay. Not only do you sight right down the Bay but the trees and the totem pole make a fabulous picture. This year when we went out on the balcony they were there right away. I swear they recognized us and were doing fly bys before we even got the peanuts out. Like last year I counted about 10 members to the murder and they certainly make their rounds for good chow. Here is a small video I took of them playing what I call the peanut game. David throws and they catch gladly.